Geoffrey Sampson is Professor Emeritus at Sussex University and has taught linguistics at the LSE, Lancaster and Leeds Universities. His recent books include Love Songs of Early China (2006), Electronic Business (2nd edn 2008) and Writing Systems (2nd edn 2015). Linguistics is a subject which came to the fore only in the 1960s. It is founded on a fallacy. Linguistics claims to be ‘the scientific study of language’, but language behaviour is too open-ended and creative to be treated by the methods of science. In consequence, linguistic theories systematically distort the nature of language, and present a misleading picture of our human nature. 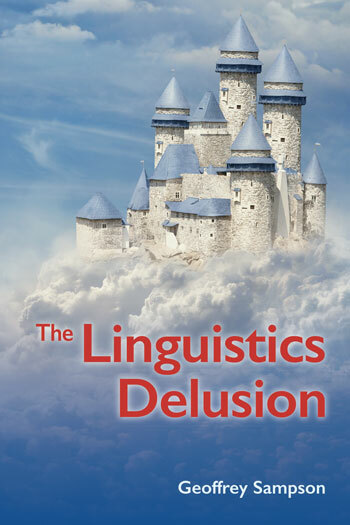 Geoffrey Sampson shows how various traditions of linguistics, and their accounts of different aspects of language, are all infected by the delusion of scientism. And he offers positive examples of how language can be studied insightfully, once the scientistic delusion is given up. 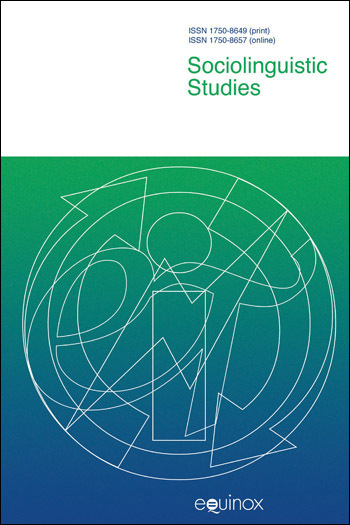 Explains the aim of the book and begins to flesh out the arguments and enable readers to understand how the coverage of more specific topics in the chapters contributes to an overall point of view about human language. One way the discipline has gone wrong stems from using the term “creative” in a sense sharply at odds with the everyday use of the word. Linguists call language behaviour “creative” because their formal grammars provide for an infinitely numerous range of possible sentences – but, in that sense of the word, doing sums would be a “creative” activity. Normally what we mean by this term is that future products of an activity, e.g. art or literary composition, go beyond the range predictable from past products. In that sense, linguistic theories assume that language behaviour is not creative – but it is. Linguists of all schools believe in some kind of contrast, in any language, between “grammatical” sequences of words and ill-formed sequences, sometimes marking the latter with stars. This division is often conceptualized in ways that are more sophisticated than a simple black/white contrast, but few linguists question the fundamental concept of grammaticality. However, grammaticality is a myth. There are no such things as “starred sentences”. This is not a mere aprioristic claim, it rests on hard evidence. I have been putting this point of view forward for many years now; my previous versions of the argument have sometimes been criticized as based on small quantities of data which I compiled myself, raising a suspicion of circularity, and they related only to English, arguably an untypical case. So here I look at a larger, non-English data-set compiled by people with whom I have no connexion. The results are very comparable to those which emerged from my English data. The title chapter is an extended scrutiny of the “Chomsky phenomenon”. Noam Chomsky is by no means the only or the earliest linguist to promote the concept of linguistics as a science, but he and those who have developed his ideas have provided by far the most powerful intellectual impetus maintaining that mistaken idea – so much so that even linguists who are seen as doughty foes of Chomsky’s linguistics often turn out to have internalized Chomskyan assumptions. Linguists who are unfamiliar with some of the neighbouring disciplines on which Chomskyan linguistics impinges often fail to grasp how very little real substance underlies the superficially impressive panoply of generative theorizing. Part of the resistance to the idea that language behaviour is creative in a sense that renders it unamenable to scientific theorizing stems from a half-conscious assumption that human beings, after all, are only complicated machines, so surely they cannot be creative in that deep sense. Denying the scientific status of linguistics can sound like romantic waffle rather than a serious intellectual position. To counter this objection, I discuss a parallel with economic theory, a discipline which has many similarities to linguistics though few linguists pay it much attention. The best established, most convincing explanation of the crucial phenomenon of economic growth depends absolutely on humans being accepted as creative in the deepest sense. Yet no-one could dismiss economic growth theory as airy-fairy romanticism. It concerns hard-nosed issues which have direct consequences for human welfare (far more so than anything in linguistics). Although generative linguistics has made most of the running since the 1960s, there are of course other schools of linguistics. Probably the trend which is currently seen as coming closest to dethroning generative assumptions is so-called “cognitive linguistics”. And the term “cognitive” sounds as though this school might be likely to recognize the human, creative aspects of language behaviour which prevent linguistics being a science. Unfortunately, it does not. The cognitive school has its own ideas about potentially-refutable boundaries around linguistic possibilities, but where those ideas are clear they are demonstrably wrong. Cognitive linguistics neither rescues the scientific status of linguistics nor offers an intellectually-acceptable alternative. Another way in which some linguists have tried to shore up the concept of linguistics-as-science has involved shifting attention away from grammar towards word-meaning. Early generative analyses of the latter, e.g. 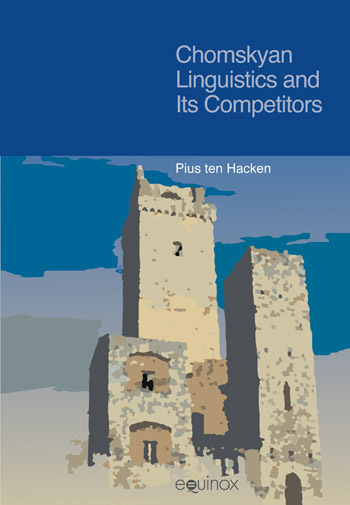 by Katz and Fodor in 1963, were quite naive, but recently a linguist, Patrick Hanks, who (unlike most academic linguists) has deep experience as a practising lexicographer, and who is also well aware of the objection that language usage is too creative for scientific theorizing, has argued at length (in Lexical Analysis, MIT Press, 2013) for a reconciliation between these contrasting pictures of word-usage. It was a good try but again it just does not work. There is no getting round the creativity of real-life usage. Writing systems are a domain where it is possible to identify consistent historical tendencies, but (like trends in other aspects of society) these are responses to social pressures rather than laws enforced by innate mental mechanisms. Contrary to the common assumption that the ideal type of script is a phonemic script, the trend among mature writing systems is to maximize a quite different property, for identifiable social reasons. A number of Western orientalists hold a more or less explicit theory that all writing systems must be essentially phonetic-based. One expression of this, by William Boltz, who is currently the most widely-read writer on the early history of Chinese script, is a claim that one of the standard categories used by the Chinese for thousands of years to classify their written graphs, namely hui yi or “compound ideographs”, never existed. All the graphs normally seen as hui yi are claimed by Boltz to have had an original phonetic basis that has become invisible in modern times. This claim is the purest adhockery, akin to a suggestion that the planets are maintained in their orbits by flying angels which are too transparent to be detected by telescopes. It is an unusually striking example of linguistics distorted by allowing pseudoscientific theorizing to override empirical description. Sets out the axiom as expressed and generally believed since the 1890s, describes the inadequacy of the evidence offered in its support, and marshals various arguments against accepting it. Now that the invariant-complexity idea has been given up, many linguists have become happy to try to measure complexity differences among languages. But some have taken a different tack, arguing that it is meaningless to assert either that languages are or that they are not equal in complexity, because their complexity is incommensurable. There are no units in terms of which they can be compared. This idea is much more persuasive than the earlier equal-complexity axiom. But it is mistaken nevertheless. I use a parallel with the history of legal systems in order to show that, although language complexity cannot be counted in units comparable to the units familiar from the physical sciences, it nevertheless makes good sense to suggest that some languages, as cultural creations, may be more complex than other languages. Since early in the twentieth century there has been a theory, put forward mainly by French-speaking linguists including André Martinet, which asserts that the sound changes that occur from time to time in any language are governed by the quantity of work done by particular phonetic contrasts in keeping words apart. This sounds a priori very plausible, but English-speaking linguists have queried whether it is in fact true. To my mind it is decisively refuted by the history of Chinese phonology, which has been a millennia-long history of repeated mergers of significant contrasts. Yet to my surprise, in the present decade a group of linguists around Abby Kaplan have offered strong new evidence in favour of Martinet’s functional-yield theory, deploying statistical reasoning in a more sophisticated manner than is common in linguistics. However, the Chinese counterevidence remains unrebutted. Thus we are left with an apparently insoluble paradox, which neither I, nor a number of other experts I led to consider the problem, have succeeded in resolving. With the proliferation of enterprise in recent years, it has been noted (by The Economist among others) that firms are beginning to find it difficult to devise distinctive names for themselves and their products and services. The Economist linked this issue amusingly to a famous science-fiction story by Arthur C. Clarke, “The nine billion names of God”. The issue is not a frivolous one, though: it is relevant to contentious legal issues about similarity between trade names infringing firms’ intellectual property rights. No linguist seems previously to have asked the question how many distinct and usable names are potentially available, but it is a question with a fairly definite answer. It turns out that the threat of “running out of names” is much less fanciful than one might have guessed.